Cooking and baking are seen as therapeutic by many. Spending hours in the kitchen creating all sort of wonderful dishes and treats is a great pass time. I think though we can all collectively agree that spending hours in the kitchen washing up after isn't! As much as I am a fan of the one-pot meal, there are many dishes that have different components to them. One is a fry up, lunches with a selection of sides... I could go on! The difficulty with these is getting out all of the food at the same time so that it remains hot. You end up wasting loads of pans for small portions of food, and the sink piles up higher and higher! I need a pan that can handle more than one dish at a time. My prayers have been answered! I received a Goodmans Multi frying pan recently to review. 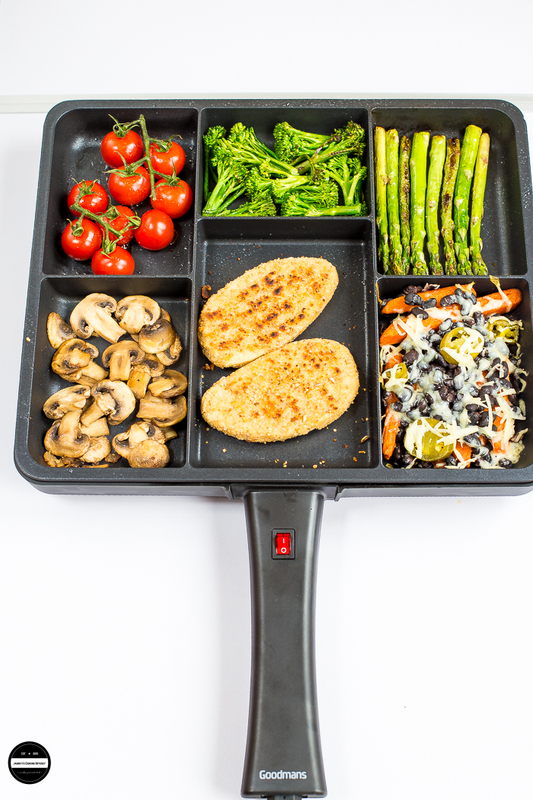 The pan has 6 cooking sections so that up to 6 different foods can be cooked, boiled or fried at the same time. This pan is not overly proportioned but suitable for a meal for two to three. 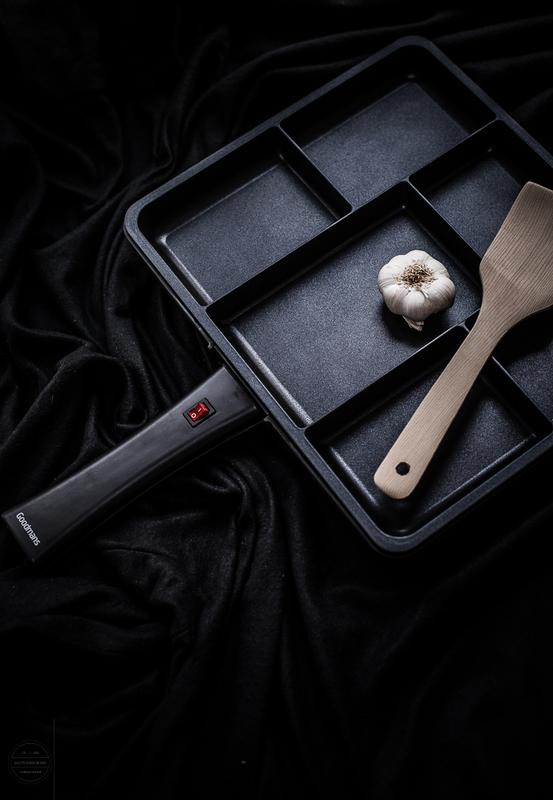 It has a non-stick coating and also comes with a wooden spatula.It has detachable cord, for easy cleaning. I tried out the pan one lunchtime. I wanted to quickly whip up a lunch for the family. We decided to have vegan burgers with various vegetable sides. The pan came with some handy instructions with how to get the best use of it, and it couldn't have been easier to use! It works electrically rather than on the hob and warmed up nice and quickly. All it needed was a little spray oil and it was ready to go. This multi frying pan is suitable for students as it doesn't take up as much as space and can make meals quickly and easily. It also helps with portion control! My daughter's hands are already itching to pack it away to her uni!!! I suppose its very time saving and she hates doing the washing up afterwards :D as this pan does it all in one! And most importantly, it was so easy to clean! Just a quick wipe with a soapy sponge was enough. The pan is easily transportable, you may take with you on holiday if you are going for a self-catering option as it works electrically. Disclosure - I was sent Goodmans Multi Frying Pan by B&M store for an unbiased review, and not told or paid to write a positive review. All opinions are my own. It is a super handy and useful product. This pan is really cool! I dont know how many times I have needed to make more than one thing at a time. This is so perfect. You are so right, it is a nifty tool. That is an awesome idea! I want one for my hubby - because I don't cook :P Might have to go on the xmas list! You have made a right choice..we are so happy with this one. This multi frying pan is awesome ! I always need to make more than one thing at a time :-) all in one for all sorts of menus. Just excellent. This pan seems extremely helpful! 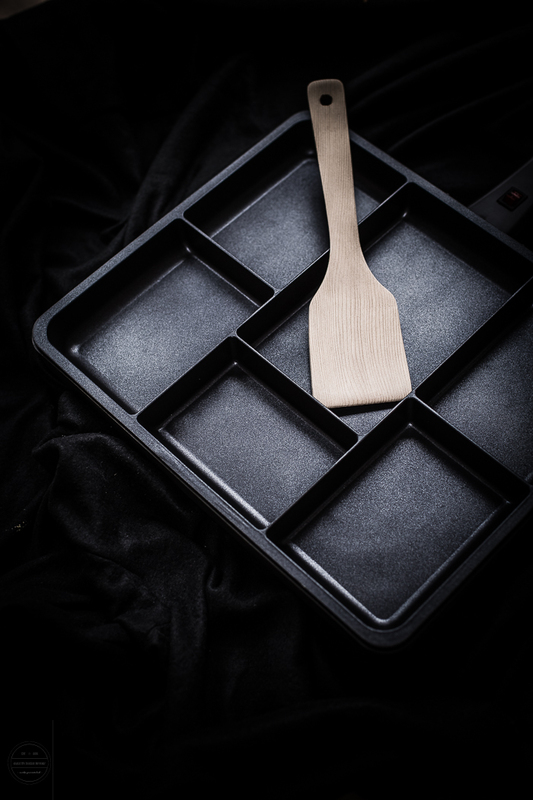 It reminds me of a bento box and definitely is a good way to save time while cooking a small meal. This does look so interesting here. 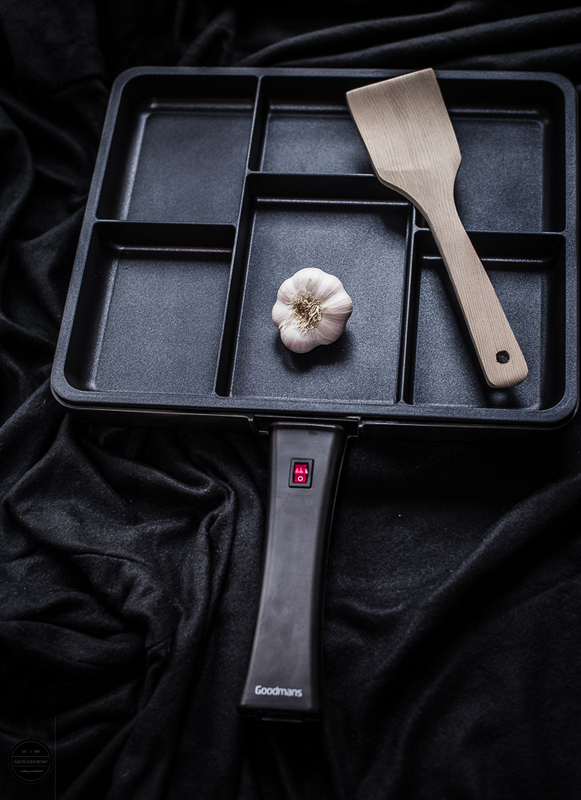 I am curious as to how all of it works together and would be worried trying to cook everything at the same time unless everything needed the same temperature. What a multitasker ! I think its a great idea to have one in your kitchen.